The HP Color LaserJet Pro M252dw is a compact colour laser printer meant for office or personal use. It can be used wirelessly, attached to a wire or via NFC. The printer is white in color with a grey output tray. The best feature about this printer is the touchscreen which responds quite well. You can print directly through a USB drive using the dedicated USB port. You can also print using HP’s ePrint functions that lets you print wirelessly through NFC if the device supports it. The main paper tray holds upto 150 sheets at a time maximum. There is also a single sheet multipurpose tray on the top. The HP Color LaserJet Pro M252dw uses four cartridges that can be pulled out from the front. The size of the cartridges is small which means you have to keep refilling. As far as the print speed is concerned its not bad at all for a compact printer. Wireless printing does take about a minute and a half. Coming to quality, black and white prints are excellent and clear. Colour printouts are good too but they are a little darker than the original file. The printing costs quite affordable. Although there are a few cheaper printers from Brother and Dell available too. Both these companies offer printers with more storage for sheets. But the HP Color LaserJet Pro M252dw still remains a good one for those who trust HP. 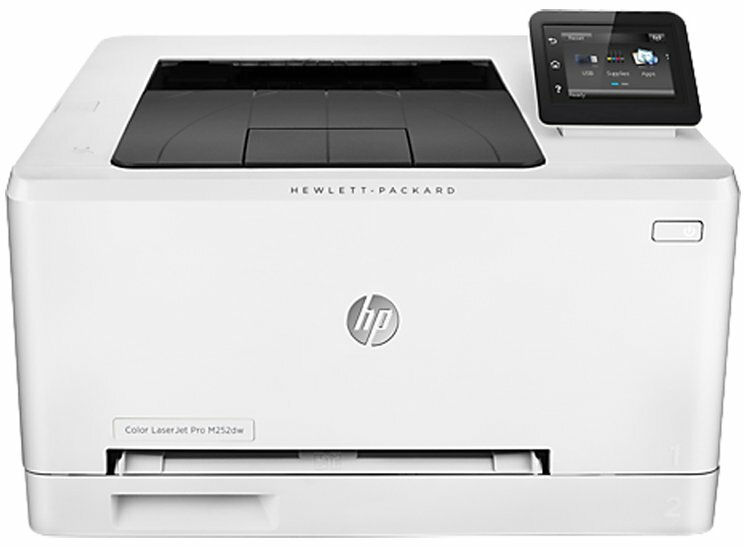 The HP Color LaserJet Pro M252dw is priced at INR 37799. HP M252dw LaserJet Pro Color Printer full specs and reviews as of Apr 2019. Buy it here!